Habitat Texas was formed by and for local affiliates in Texas. Our role is to “help the helpers” in doing what they do best which is building more homes for more families, engaging volunteers, and building stronger communities all across Texas. Through a network of connections and expert consultants, the staff of Habitat Texas brings resource development, training and technical assistance, disaster preparedness and legislative advocacy to each of the state’s 72 affiliates. With twenty years’ experience in construction, Texas government and nonprofit management, Amy Ledbetter Parham serves the 72 Habitat affiliates as Executive Director of Habitat Texas. Amy was a political campaign manager and a design professional for an architectural firm that specialized in public buildings and school districts. She has worked with more than 100 nonprofit organizations as a consultant in private practice, including Habitats, before coming to Habitat Texas. Amy holds a Master’s degree in Public Leadership from the LBJ School of Public Affairs and B.A. in Government from the University of Texas and a B.A. in Design from Texas State University – San Marcos. Andrea Earl serves as Habitat Texas’ Community Outreach Officer, focused on planning and establishing Habitat’s statewide VISTA Program and developing key partnerships with faith and business. Prior to joining Habitat Texas, Andrea worked as a policy analyst and advocacy coordinator with Texas Impact, with a focus on poverty, disaster, homelessness, and mental health policy areas. Andrea is a two-time AmeriCorps alum and native of North Carolina where she earned her bachelors degree and a Master in Public Administration and a B.A. in Communication from Appalachian State University. Michele Burns comes to Habitat Texas with 15 years of affiliate experience with Midland Habitat for Humanity. Michele has over 40 years of experience in mortgage loan originations and servicing. She serves on the MPAR (Mortgage Procedures and Regulations) statewide team, is a Certified Homebuyer Counselor, a Certified Relocation Professional, has achieved a certificate in Non Profit Executive Leadership, and is a past recipient of Habitat Texas’ Mary Ruth Rodenbaugh Staff Excellence Award. Michele is experienced in Bootstrap loan processing plus various grants for down payment assistance. She holds a B.S. degree in Communication Sciences with specialization in teaching the deaf from Texas Women’s University. Terrence Sommers comes to Habitat Texas as the Program Manager over the Hurricane Harvey Home Repair Program. 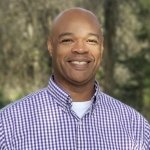 Terrence has over 12 years of experience working with a construction management team focusing on cost effective build measures, site safety, and security and also has over 22 years in law enforcement part of a Disaster Emergency Response Operations Team. Terrence has consulted as a congressional ambassador working with non-profit groups advocating for mental health and Alzheimer’s related matters. Terrence is currently working on his master’s degree in Emergency Management and holds a B.A. in Justice Administration. 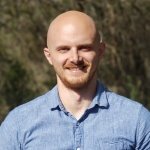 Chris serves as the AmeriCorps VISTA Leader for Habitat Texas, where he will recruit other VISTA members to serve across Texas and work with those VISTAs as their support throughout their year of service. He graduated from Indiana University – Fort Wayne with degrees in Business Marketing and Managment. He also served as an AmeriCorps VISTA with the Maine Afterschool Network where he performed sustainability research for the federally funded afterschool programs. 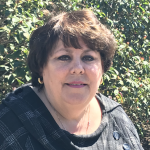 Pam has more than 25 years of experience in Office Management and Executive Assistant positions. At Habitat Texas she is our office manager and Amy Parham’s assistant. She is responsible for bookkeeping, logistics and the day to day operations of the office. 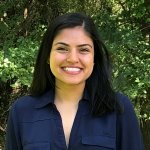 Zeel Vora serves as the Policy Analyst VISTA at Habitat Texas, where she researches current policies, programs, and data and works to find ways to share this information with affiliates. She graduated from the University of Houston with a Bachelors of Science in Public Health, and is passionate about fighting food waste and loving animals. Zeel has also lived in Toronto, Canada for 12 years and hopes to attend law school shortly after her AmeriCorps year. 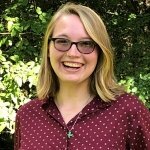 Julia Burkley serves at Habitat Texas as a Young Adult Volunteer, a volunteer corps through the Presbyterian Church (USA). At Habitat Texas she works on developing a faith engagement program to engage faith-based organizations on the state and local level. She is coming from most recently Davidson College outside of Charlotte, North Carolina, where she got a Bachelors of Arts in Religious Studies and Gender and Sexuality Studies. Originally from the Hudson Valley in New York, she hopes to continue a career in ministry and advocacy. Cassandra Machart serves as Habitat Texas’ Communication Specialist VISTA, where she is building and implementing a communication plan for the organization. Prior to joining Habitat Texas, she served with the Texas Conservation Corps as an AmeriCorps member. She is passionate about serving the communities she lives in and helping individuals gain higher quality of life. Cassandra earned her Bachelor of Science in Communication from Lee University and hopes to continue her academic education in the future.